Today’s selection is for those of you with beautiful curves, especially if you have big thighs, too. Several weeks ago we took a look at some jeans and pants for women with big hips and thighs, where we got down to business and discussed not only which ones best suit your body shape, but also how to style them. Today we will do the same with our selection of 7 gorgeous skirts that are a must-have for you. These are A-line dresses, with a bit of flare and some pleats as well. We picked this particular style as it puts all the attention on the small waist for the hourglass and pear body shape. This, in turn, takes the focus away from your hips and thighs, creating a very flattering figure. 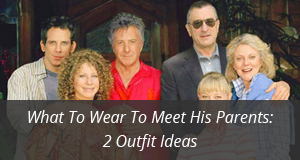 We also picked designs that you can wear anywhere, be it a casual or formal event, and even to work. 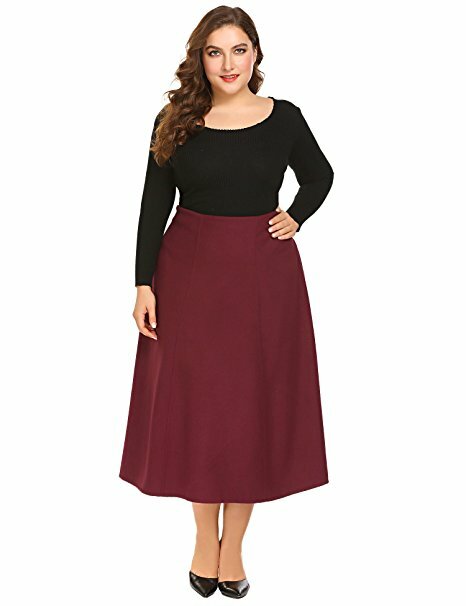 Before we get started with the selection, we would like to suggest that you wear these skirts with shirts that can be tucked into them, as this will better show off the curves and small waist. But this is just our suggestion, if you’re feeling like wearing an oversized top then you do you! 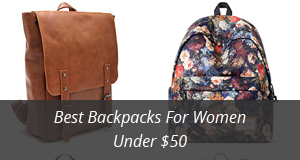 * Keep in mind that: The availability, colors and sizes of the products in this page may change at any time. Also please check the products features on the various shops before buying. The product images shown are for illustration purposes only. Let’s start this selection with Hanlolo‘s beautiful floral skirt, which is made of Polyester and Spandex. It is a very elegant design, with a vintage look to it that we would recommend you wear it with high heels, to really make your outfit shine. For the top, we would suggest a solid color one, so as not to take focus away from the skirt’s print and color. It is quite flared and also pleated, which make it look great on different body sizes as the hips and thighs won’t be noticeable at all. The options to choose from include: A-floral, Z-black, Z-navy blue, Z-pink, Z-red, B-floral, C-floral, D-floral and F-floral. 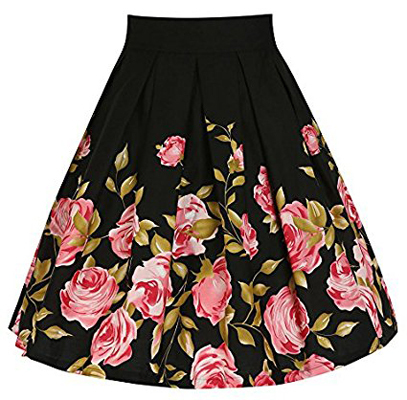 Another skirt with a similar cut to the previous one, but slightly shorter, is SheIn‘s box pleated A-line skirt. 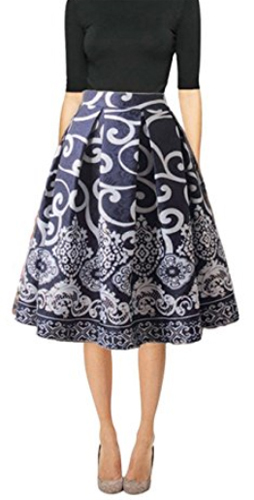 This is a 100% Cotton skirt and has no stretch to it, which should be kept in mind if you need a skirt with an elastic waist. However, it fits true to size so the sizing table will come in handy. It closes in the back with a zipper and has a tight waist and flared, pleated cut that makes it suitable to wear on many occasions. 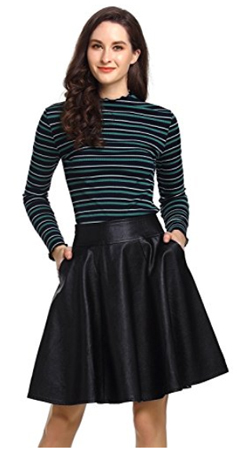 The top and shoes will play a key role in that regard, as depending on them you can make this skirt part of different outfits, from casual everyday ones, to cocktail parties and formal events. Most of the options are with floral prints, but there are is also a flamingo design and a nature one. The colors available include: Black, Forest green, White, Multicolor, Striped white, Green and Pink. 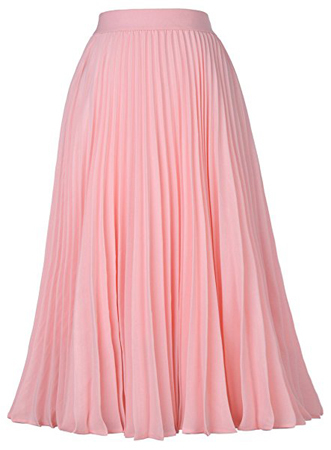 Time for a lovely maxi skirt that is designed for plus size women. It is by Zeagoo and the fabric is synthetic wool, making it a great choice for winter. The high waist and the cut are very flattering as they bring out the curves beautifully, while hiding any flaws along the way. It is quite long, almost close to ankles in length, so if you would rather not have your legs show at all this is the right skirt for you. Another good thing about this design is that it looks equally stylish with flats and high heels alike, so you can wear which one you like best. Besides that, it comes in solid colors, without prints, which makes it appropriate to wear to work, too. There are 3 colors to choose from: Grey, Wine red and Black. 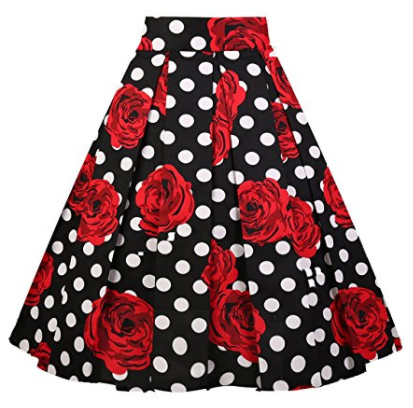 A youthful and stylish design, imimimomo‘s vintage floral skirt is a great choice for those of you who love the 50’s look. It is pleated, but not as wide as some of the previous options and also slightly shorter, which makes it a great summer skirt. High heels will truly make it shine and an elegant top would go great with it. It is a very flattering cut, as it will make your waist appear quite small, while beautifully shaping the hips. There are also pockets on the sides, which is a great detail that most skirts lack. It comes in 3 colors: Black, White and Ice blue. 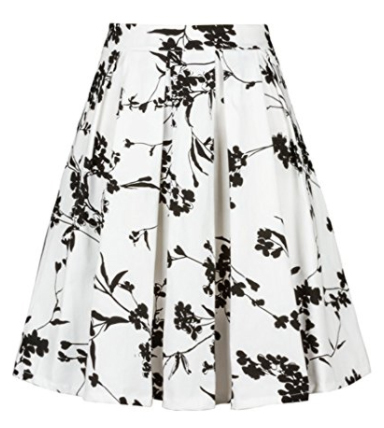 Next we have a wonderful spring and summer skirt, which is incredibly light and breezy. This design is by Kate Kasin and it is made entirely of Polyester. The A-line cut is a bit different as this is a skirt that rests on the body, rather than giving it width. It is very flowy and soft, with numerous small pleats and knee-length, all of which make it not only very comfortable, but easy to style with a variety of tops and shoes. It comes in solid colors and there are two options to choose from: Pink and Grey. A short skirt, this faux leather one by Beluring is versatile and gives you a lot of freedom when it comes to creating a great outfit. It goes with both printed and simple tops, elegant ones and casual ones alike and be it heels or flats, it will look fantastic. The waist is not too high and aside from the loose pleating, there are also pockets on each side. It is super comfortable and the faux leather looks quite real, too. There are 3 colors available: Black, Brown and Burgundy. We are ending this selection with Girstunm‘s vintage pleated skirt that comes in a multitude of colors and prints. The fabric is a blend of Cotton and Spandex, so it has some stretch as well. It is great for vintage looks and casual wear, as it comes with a high waist and a very flattering A-line cut. 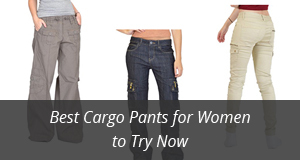 It is also knee-length so it looks great on different body types. There are both printed and solid color options, with a variety of designs. There is a total of 35+ options to choose from, including: Sunflowers, Singing birds, Pineapples, Sunrise, Flamingos, Floral and Christmas tree.